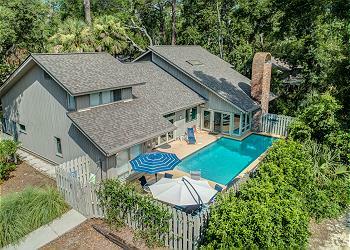 Modern design meets beach chic in the popular South Beach area of Sea Pines Plantation. 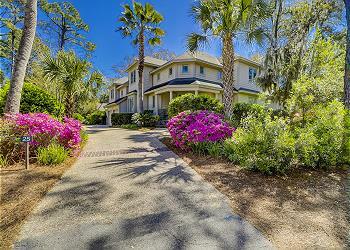 This wonderful 2nd-row island oasis is just a few sandy steps to the beach! It has a naturally shaded and very private *heated pool with a well-appointed screened in porch overlooking it. The upstairs of the home has an open floor plan connecting the living room, dining room, and kitchen. Here the everyday is replaced with sea breezes, smiles and sun-kissed days you won’t soon forget. •	Private *Heated Pool (12 x 24) *This pool can be heated at an additional charge and has a gas pool heater. The cost per week is $575.00 to $875.00 depending on the season.